Duplex Basket Strainer is used in pipeline systems where the flow of fluid needs to be continuous and uninterrupted. The line never needs to be shut down for maintenance of a duplex strainer. 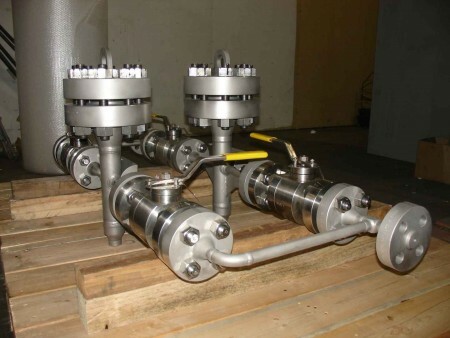 Duplex strainer, in effect is twin basket strainers connected via headers and includes isolation valves. Flow is also via a single basket and in case if this basket is clogged with dirt particles, flow is diverted to the secondary basket via isolation valves. Now the first basket is pulled out and cleaned. Once cleaning is complete, flow is redirected to the initial basket. 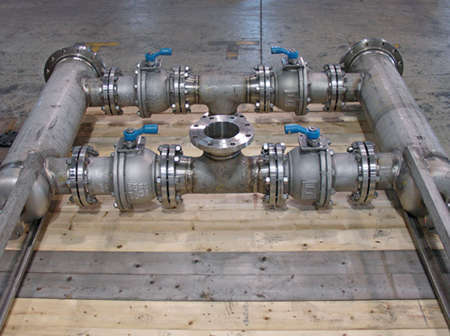 The isolation valves supplied by Infinity Industrial Supplies along with the Duplex basket strainer arrangement is concentric butterfly valve, regular ball valves for high-pressure systems or three-way ball valves. 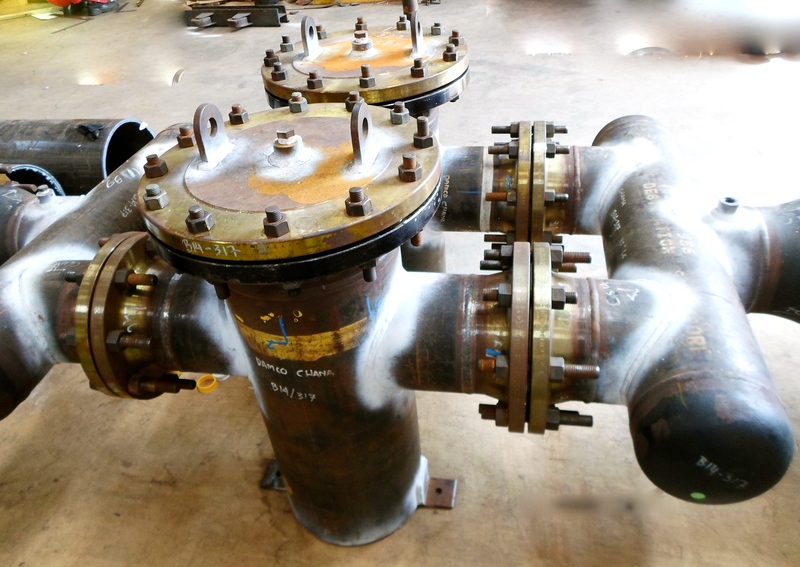 We offer duplex strainers in three configurations. Style 1 and Style 2 are normal inline flow with Style 2 having a compact design. Style 3 is an offset flow configuration with the inlet and outlet at different levels. 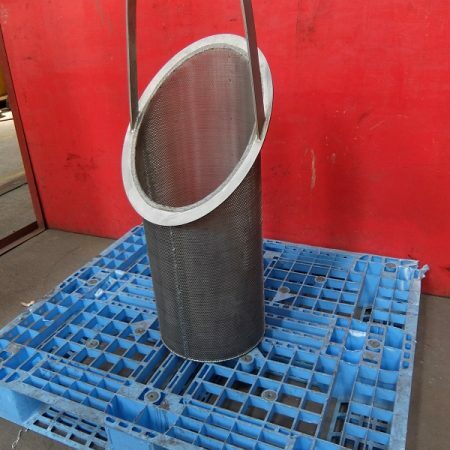 As Duplex Basket Strainer is fabricated type construction, we can accommodate any level of customization to suit the process or site requirement. 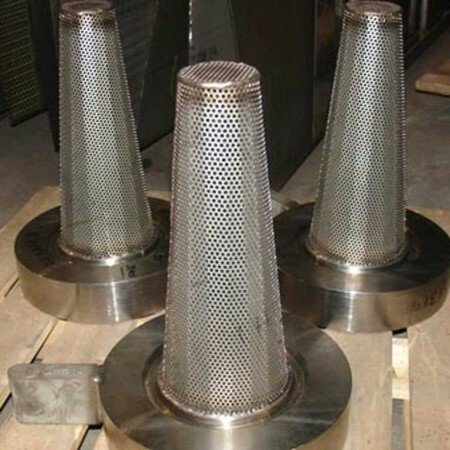 Our Duplex Strainers are designed under ASME code with pressure rating ranging from ANSI Class 150 up to ANSI Class 2500. 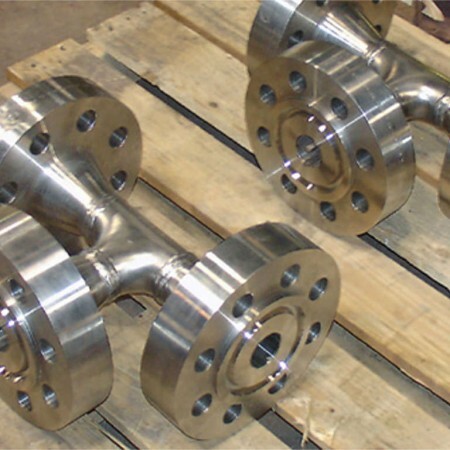 We also manufacture strainers with pressure rating up to API 10,000 psi. The strainer cover is standard bolted type however special blind cover opening arrangements such as Quick opening closure; T-Bolt hinge closure and Tool-less closures can also be provided. In most cases, the basket strainer cover is provided with Davit arm assembly along with lifting lugs. Other accessories such as Differential Pressure gauge connection on the inlet/ outlet pipes and air eliminators at the vents can also be provided.